So as you probably gathered from reading my last post, I haven’t had the best of luck keeping accident free. Here’s part two of my collection of mishaps and freak accidents and my top 357 hospitals in the UK. Aged 19 – Split Open Head Again! It’s Christmas Day and we’ve just watched The Spy Who Loved Me for the 37th time. Going from the dining room into the hall there was a chair positioned in the way. Rather than simply move the chair out the way and walk through I decided to jump over the chair. Except I didn’t . I jumped onto the chair and then inexplicably jumped up into the door frame. I land, put my hands on my head to discover blood everywhere. “Mum, I’ve cut my head open.” As I’ve occasionally been prone to a little bit of exaggeration she didn’t believe me. Now a bit miffed I spread blood on my face, made sure my hands were covered in it then calmly walked into the lounge and presented myself to my disbelieving parents. ”See, I told you.” Just like Arnie in Total Recall, (“You call this a delusion.”) but a little less Austrian. Cue screaming from my poor mum. Seriously, I have no idea how she didn’t suffer a nervous breakdown and go prematurely grey from my catalogue of blood splattered incidents. Now I love the NHS and they’ve been there for me on many occasions, however, my trip to Edgware General on Christmas Day still gives me nightmares. 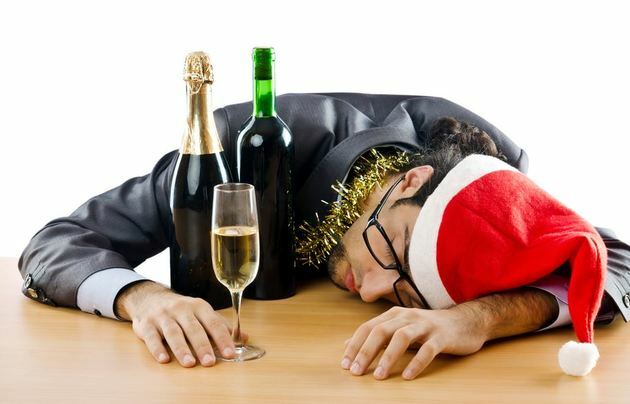 Basically, the staff were hammered. No really, they were off their faces. 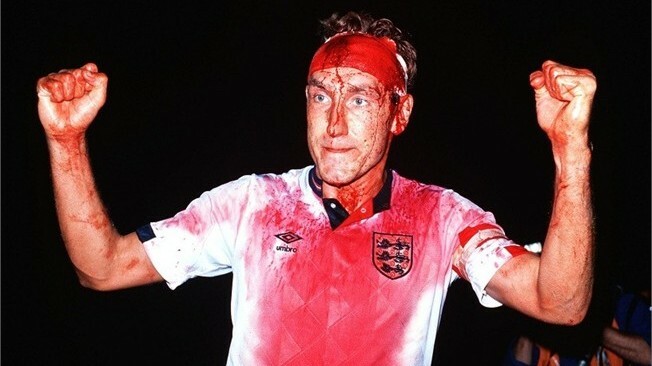 I turned up looking like Terry Butcher after the England v Italy World Cup qualifier and they fell apart laughing. Most of the other patients were completely smashed too so I was properly scared. It was difficult to tell who were staff and who were patients. “What happened?” slurred the nurse / random passer by. I explained and she was like, “Ah, don’t worry about it, happy Christmas. Soon stitched up and no more chair jumping for me. Doctor? Patient? Who knows. Just make sure he can stitch up my head. Aged 25 – Shattered Ankle – Complete freak and to this day unexplainable. About to start a 5 a side football match on an astroturf pitch and one of the other players behind me ask’s, “Excuse me mate, have you got the time?” I turned round to tell him but my ankle didn’t liaise with my brain and instead stayed planted firmly in the ground. It then spontaneously exploded as if hit with four hammers by Kathy Bates in Misery. I screamed……a lot…….and cried. It was the worst pain I’ve ever suffered. With the ambulance on route I had to ring and tell my poor, ever suffering mum. Of course she thought I was messing around, (you’d really think she’d have learnt her lesson by now.) It was only when I passed my friend onto her that she believed and then proceeded to break down in tears. After my favourite gas and air all the way to the hospital I was wheeled into A&E completely off my head. Singing and shouting out to everyone there, completely oblivious to the mostly backwards foot and excrutiating pain. The doctors refused to believe my explanation of how it happened as they felt only a car could have caused that much damage. They thought I was protecting someone with either awful driving skills or a serious grudge against me and my foot. The upshot was two metal plates and 6 pins in my ankle for a year and then another op to take them out. Total 4 months on crutches and no more 5 a side football, ever. A Tunnel Definitely Not Fit For A Thirty Something.